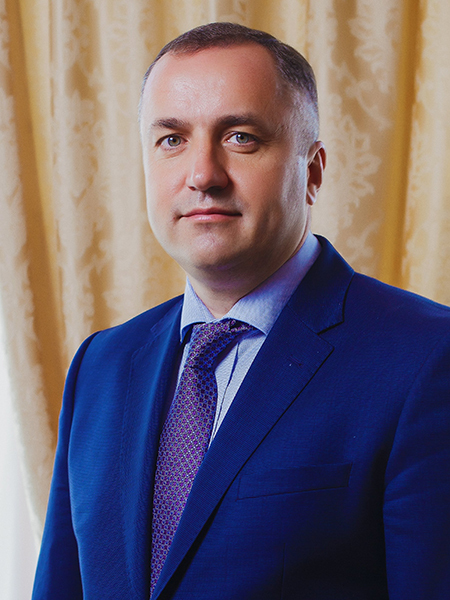 Serhiy Banakh graduated from the Law Faculty of Ivan Franko National University of Lviv in 1997. - From 1997 to 2013, he worked in the prosecutor's offices of the Ternopil region, having had a successful career from the investigator of the district prosecutor's office to the First deputy prosecutor of the region. He was awarded the title, "Honorary employee of the Prosecutor's Office of Ukraine". - In 2015, he defended his Ph.D. thesis on the topic of "Ombudsman Functions in the Modern World: Comparative Legal Study"
The history of the faculty began in 1993, when a specialty of "Legal regulation of the economy" was opened within the programme of "Economy of Enterprising”, when the Faculty of Law was created, and where future lawyers could study in either full or part time programs. This faculty was headed by associate professor Ya.M. Pigach. On February 25, 1998, the Scientific Board of TANE decided to establish a separate Institute of Law. In May 1998, Z.S. Gladun, a candidate of legal sciences, a senior lecturer, and an honored lawyer of Ukraine, became the head of the Institute. On January 28, 2004, S.S. Osadchuk, a candidate of legal sciences, and an associate professor, was appointed to the post of Head of the Institute. From January 2006 to April 2007, the Faculty was headed by Associate Professor Ya.M. Pigach, a candidate of legal sciences. From April 2007 to April 2015, Associate Professor V.I. Voz’nyy, a candidate of legal sciences, was the Dean of the Faculty. Since April, 2015 the faculty has been headed by S.V. Banakh, a candidate of legal sciences.